Samuel McKee McCrory (October 11th 1924 -May 4th 2011) was born in Belfast. During his career he played as a centre forward for Ipswich Town for whom he was top scorer in their 1950-51 season, while scoring 40 gaols overall in 102 matches for the Tractor Boys. He was the joint top scorer of the final season of the Third Division South with 31 goals in the 1957-58 season for the Shrimpers. A year earlier in March 1956 the Belfast boy scored after just ten seconds in the game against Crystal Palace, a club record until that bloke called Freddie Eastwood headed home against Swansea City 48 years later in November 2004 in, wait for it, 7.7 seconds! Sammy also played for Linfield, Swansea Town, Plymouth Argyle, Cambridge United and Crusaders. As a youth, Sammy played in the same Scout team as the famous Tottenham and England skipper Danny Blanchflower before starting out at Irish League club Linfield with whom he scored in two successive Irish Cup winning teams. He then moved to England where he was to play for 17 years as a professional with his last club being Cambridge before moving to become player-manager of Crusaders in 1962. After his playing career, McCrory ran a bar called the Port O'Call in Donaghadee Northern Ireland where he had settled down. George Best performing the opening ceremony in 1969, hope it wasn't an open tab! There were three debutants in the side, with the most famous undoubtedly being Sammy McCrory. He would go on to net the first goal at the 'new' ground on 26 minutes. He was joined in the newboy ranks by Dickie Dowsett and John McGuigan, with the former also managing to find the target in the final reckoning. On a beautifully sunny day in southeast Essex, United started the game by kicking into the sunlight, and two of the debutants, McCrory and Dowsett, combined to test Ken Nethercott in the Norwich goal in the opening exchanges. Roy Hollis, the club's record goalscorer, and McGuigan were also denied early on before the visitors could get a foothold in the game. City should have taken the lead when Sammy Chung saw his shot blocked by Doug Young, and then Bobby Brennan blazed wide with the goal gaping. Soon United were in the ascendancy again, though, and McGuigan only just failed to convert a dangerous McCrory centre before yet another aerial effort was palmed away by Nethercott between the sticks. Finally, McCrory was able to take the glory of scoring the first goal at the Hall and deny the visitors that distinction. 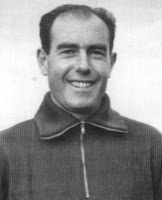 Jim Duthie powered the original effort towards goal, and Nethercott appeared to have effected a save when McCrory bundled both player and ball over the goalline. Despite City's best protests, the goal was given. Hollis, playing against his former club, saw a shot blocked on the goalline by Bill Lewis before the half-time whistle but there was to be no stopping the hosts immediately after the interval. Five minutes into the second period, skipper Kevin Baron and McCrory offered decoy runs to allow Hollis to smash the ball into the corner of the goal. Then, just sixty seconds later, Dowsett made sure of the result with his opening goal in a Blues shirt. This time the strike was a fine solo attempt, with the new acquisition skilfully beating the Norwich defence before firing past a helpless Nethercott from an acute angle. The occasion was marred only slightly by the Canaries' consolation just before the midway point of the second half. Martin Reagan was the goalscorer, tricking his way past Young before defeating Harry Threadgold with a low drive into the bottom of the goal. The goalmouth activity from that point onwards was all towards the Norwich net, but the closest United would come was a Hollis header that sailed agonisingly wide of the mark. Nethercott, easily the visitors' man-of-the-match, kept his team's scoreline respectable on an historic day for the hosts. Representative Honours: Northern Ireland: 1 Full Cap / 1 Goal (1957), 1 'B' Cap / 1 Goal (1957); Northern Regional League: 2 Caps / 1 Goal (1946). Club Honours: (with Linfield) Norhern Regional League Winner 1944/45, 1945/46, Runner-Up 1943/44; Irish Cup Winner 1944/45, 1945/46, Runner-Up 1943/44; Gold Cup Winner 1944/45, Runner-Up 1945/46; Co. Antrim Shield Runner-Up 1944/45; (with Swansea) Football League Division Three (South) Champion 1948/49; Welsh Cup Runner-Up 1949/50. An East-Belfast native, Sammy McCrory was signed as a professional by Linfield in April 1944 and made his debut against Belfast Celtic, scoring in an 8-1 defeat. A "deliberate moving but highly gifted inside-forward", he spent two full seasons at Windsor Park during the Second World War, during which time he twice won the Irish Cup. He scored two in a 4-2 Final win over Glentoran in 1945 and another goal the following year in a 3-0 defeat of Distillery. In all competitions at Linfield he scored 60 goals 91 appearances. In September 1945 McCrory scored the only goal for the Northern Regional (War-Time) League in a 1-0 win against the Combined Services. Transferred to Swansea Town in October 1946 for a fee of £4,750, he could do little to aid the Welsh side in their fight against relegation. Despite scoring on his debut, they left the Second Division after a 21-year stay. Two years later he played 37 games, scoring 19 times, as the Swans waltzed to the Division Three (South) title by a five point margin. That same season he played in the Welsh Cup Final which resulted in a 2-0 defeat by Merthyr Tydfil. Mid-way through the 1949/50 season McCrory found himself back in Division Three (South) with Ipswich Town. Making the same move was former Linfield colleague, Jimmy Feeney, and the £10,500 combined fee represented an Ipswich club record. McCrory was slow to settle in East Anglia, he scored just twice in his first twelve games, and he became the first ever Ipswich player to be sent-off in League football when given his marching orders against Aldershot in April 1950. McCrory found his shooting boots over the following two seasons. He scored a hattrick at Crystal Palace in November 1950 and twice as Ipswich came from behind to hold First Division Tottenham 2-2 in the Ipswich Hospital Cup in 1952, but couldn't do enough to lift the club above mid-table obscurity in the League. In August 1952 McCrory returned to Division Two, transferring to Plymouth Argyle. He struggled to find his form at the higher level, and in three seasons scored just eleven goals. In June 1955 30 year-old McCrory joined Southend United back in Division Three (South). All these years on he remains a legend at Roots Hall and in 1957/58 he hit the goalscoring form of his career. In a season in which he scored 31 goals he was called up to the Northern Ireland 'B' side for a match against Romania. He "ran the show" and scored in a 6-0 win. A month after his 'B' performance, at the age of 33, McCrory was honoured with his first Full cap - in fact he was the oldest post-war player to make his debut for Ireland. The match, against England at Wembley in November 1957, saw several English players deride the Irish side, in particular the "old man" McCrory. The perfect answer arrived with a 3-2 win, with McCrory scoring to give the Irish a 2-1 lead in the 60th minute. McCrory was included by Peter Doherty in the squad for World Cup in Sweden but despite a number of injuries to other players and impressing in training, he never added to his solitary cap. After 188 League goals in 457 games McCrory drifted into non-League football with Cambridge United. Later he returned to the Irish League as player-manager of Crusaders. On retiring from football McCrory ran the Port O Call pub in Donaghadee. Sammy McCrory passed away on 4th May 2011.